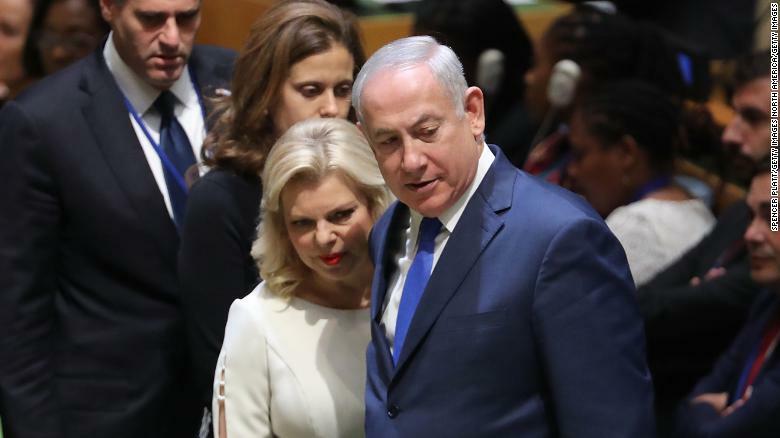 Accusations of corruption and behaviour unbefitting of a person acting in a position of trust as a minister or prime minister of the country have been circulating around Prime Minister Netanyahu for some time. The stories and accusations are not new. Things did, however, take a different turn over the past couple of weeks. The recommendation by the police to the attorney-general that the prime minister should be indicted on charges of corruption, bribery and breach of trust in two of the cases has put a different complexity on this sorry case. This, added to a new story and set of accusations coming out of the woodwork with a former close associate of the prime minister turning state witness, has served to tighten the squeeze on Netanyahu and those around him. The accusations made by the new state witness, Shlomo Filber, sound almost inconceivable. If only a small proportion of the accusations are proven to be true, it would make place Netanyahu in an untenable position regarding his ability to continue to serve as prime minister. For now, however, that is all that they are. Accusations. The stories sound like they could come from a far-flung land where there is no consideration for rule of law or fiduciary responsibility towards those who elected the prime minister into office. Many of them are corroborated by people who are seemingly unrelated to each other, and are reported to have been repeated in different situations involving different people and issues. In the way that they have been presented, the stories sound almost like they could be true. Any objective person with a high level ability to assess fact from fiction could easily be convinced that the accusations are all based on truth. And yet, we still do not know. We do not know because the stories have yet to be verified by an objective court of law that was set up for the purpose of evaluating the credibility and truth of such accusations. All we know is that certain people, not an insignificant number of people, have the incentive to publicly tell stories of bribery, corruption and betrayal about the prime minister and his associates, while others have the incentive to defend them. That is as much as we know. Nothing more. So how can it be that a democracy allows public officials to be charged, vilified and castigated in public like this, when no formal charges have been laid, and when there is no attempt to bring them before a duly constituted court of law? Don't get me wrong. I have listened to and read about the accusations of bad behaviour on the part of the prime minister, his wife, members of his family and others in his close circle. It seems inconceivable to me that such stories could be made up by people, purely for the intention of weakening or unseating the prime minister. It seems unbelievable that seemingly similar patterns of behaviour could be concocted by so many different people from different spheres of life and with different interests. It seems to me that, where there is smoke, there is fire. And I am a great believer in elected officials being held accountable for all their actions, good and bad. I am also a great believer in the basic democratic tenet that everybody is innocent until proven guilty by a duly established court of law to examine the particular issues. If the accusations are so convincing, and if the police have recommended on the basis of evidence in their possession that there is a case to answer, why is the case not being answered? I am not sure of the answer to this question, but I remain convinced of a few other important aspects of our democracy. I believe that the trial by public opinion is wrong, and wholly undemocratic. It is my view that all the investigations that are being conducted into the prime minister's behaviour, should have taken place behind closed doors. Until the moment that the attorney-general is ready to formally lay legal charges to be answered in a court of law, I think that the details of all that we have been bombarded with, should have been kept away from the public eye. Instead, we have experienced a trial by public kangaroo court, and directed by the press. All of the protagonists in this sordid affair, including those who have been accused, the accusers, those involved around the edges, the press and the general public seem to have some axe to grind on the issue of the prime minister and his family. It is difficult to work out who we should believe, as more and more unbelievable stories surface daily. The country seems to be split almost down the middle between those who support the prime minister and wish to see him stay in office, as opposed to those who wish to see him unseated, jailed and consigned to political purgatory. In addition to holding our public officials up to the light and expecting them to be fully accountable to the voting public for their actions in office, our democracy should also protect them against unreasonable and frivolous claims that could damage them and our democracy. Prime Minister Netanyahu has effectively been rendered incapable of carrying out his highly important prime ministerial duties, as he is spending most of his time these days bring questioned, defending his character against the accusations, and trying to influence the public about the nature of these accusations. Who is running our country and keeping it secure while he is worrying about the next story that accuses him of inappropriate behaviour? If the attorney-general considers the police investigation to have produced a case for the prime minister to answer in court, Netanyahu should resign his position and answer the accusations against him. If it turns out that the court does not find the accusations against him worthy of a guilty verdict, he should be able to return to the prime minister's office to resume his duties. Israeli democracy should not tolerate corruption of public officials under any circumstances. It should also protect them while in office against any attempts to disturb their ability to carry out their jobs. The democratic process should determine that, at a certain point, elected officials should be relieved of their duties to allow them to answer properly-constituted charges that have sufficient basis to believe that they have a reasonable possibility of being upheld by a court. Until that moment, they should be allowed to get on with their job. In my opinion, democracy goes both ways. At the moment, we are suffering the worst of all situations that a democracy gives us. The people of Israel deserve more, and it has come time to examine our system to ensure that democracy for us protects both the state and the individuals, rather than the unsavoury and undesirable position that our country current finds itself in. The recent interception of a unmanned aerial vehicle (UAV) that was launched into Israeli air space from Syria, and the events that followed this interception have brought into the open some serious questions about the threat against Israel along the northern border with Syria and Lebanon. In particular, it has focused on the number of different players who are involved in the Syrian playing field, and the serious nature of the risk that Israel is forced to defend against from a variety of different sources. The entry of the UAV into Israeli airspace had been anticipated for some time. Israeli intelligence had identified the intention to send this from Syria, and it had a welcoming committee by the time it crossed the border into Israel. Interestingly, it had taken a route from the Tiyas airbase (also known as T-4 airbase) in Syria where it was launched, through Jordanian air space and finally entering Israeli air space not far from Beit Shean in the upper Galilee. The UAV was shot down after spending a little more than 90 seconds in Israeli air space, and this allowed for closer inspection of the vehicle. It turns out that the UAV was a fairly substantial and serious piece of equipment. Some have described the UAV as a drone, although I prefer the term UAV. Somehow, the word drone implies something small and toy-like. This is clearly not the case here. The UAV has been identified as a Saeqeh or Thunderbolt from Iran. This is a stealth model UAV modelled on the American RQ-170 Sentinel spy UAV, one of which was shot down and captured in Iran in 2011. The launch of the UAV into Israeli air space was something that was clearly planned for some time before, and the type of vehicle that was used is highly sophisticated and shows serious intent on the part of those operating it. After intercepting the UAV, Israel immediately carried out its stated policy of retaliating against each violation of her sovereignty and security. Israeli Air Force F-16 fighters were deployed to launch attacks against 12 Syrian and Iranian targets in Syria. These included aerial defense batteries, targets at the T-4 air base from which the UAV was launched, and positions of the Iranian military establishment in Syria. The Israeli fighter jets were fired upon by Syrian forces. The anti-aircraft fire that was directed against the Israeli aircraft was from a number of Russian air defense systems, including the SA-5, SA-17, SA-6 and SA-3 systems. It was a Russian missile fired by the Syrian army that latched onto one of the Israeli F-16 jets, and exploded next to it causing irrecoverable damage to the aircraft. The pilots ejected to safety, but not before sustaining injuries in the blast. The F-16 crash landed in Israeli territory. Despite the situation remaining tense but calm since this series of events, it has highlighted the complexity of the security situation that Israel faces, and the number of different players that are involved in the conflict. The UAV that was initially launched into Israeli air space by the Syrian army was an Iranian-built vehicle employing American technology. Israel finds itself fighting against American know-how, Iranian production and financing and Russian weaponry launched by Syrian government forces. More than this, Iran is now represented in the area near to the border in southern Syria, and Israel is being drawn into a direct conflict with Iranian forces. This is something that is a relatively new development, as Israel's battles against Iran until now have all been via Iranian proxies in the form of Hezbollah, Hamas and others. The relationships and conflicts with Syria, Iran and its proxies are clear. These entities call for the destruction of Israel, and do all that they can to bring this about. Israel will defend herself against them, and will use every effort to harm the interests and positions that these entities possess, no matter where they are situated in the world. The threats against Israel from these sources are numerous and constant. They manifest themselves all around the world - against Israeli embassies, airlines, businessmen, tourists and Jewish centres in any location. All of this comes in addition to the threat along Israel's borders and even within the borders. Iran has the intention, not only to destroy the Jewish state, but also to increase its sphere of influence in the Middle East and around the world. It is promoting its brand of Shia Islam against all other religions, and against Sunni Islam. Iran certainly has aspirations to be a controlling power in the region and around the world. As part of this effort, Iran is cooperating with Russia and supporting Syria and other proxies in order to confront, the US, Israel and other regional and western powers. The relationship with Russia is a little more complex. Israel has found itself on the receiving end of Russian missiles and weaponry that have, not only shot down an Israeli F-16 fighter, but also threaten Israel's safety and security on a daily basis. Major Russian weaponry systems are deployed in Iran and Syria, and most of these systems are aimed in a threatening way at Israel. This is all in spite of the fact that Israel has full diplomatic relations with Russia, and Prime Minister Netanyahu and Russian President Vladimir Putin have met numerous times and spoken frequently on the phone in recent times. Netanyahu's requests of Putin have fallen on deaf ears, and Putin continues to arm and finance organisations and governments that seek the destruction of the State of Israel and the murder of Jews. Putin's interests are driven by increasing Russia's sphere of influence as much as possible, and by financial considerations. Russia is making good money from the sale of arms and weapons. Just as with his relationships with the USA and with Turkey, Putin seems to be playing both sides of the divide with Israel. While Israel would wish to maintain cordial relations with Russia for a number of reasons, the fact that Russia is openly and unashamedly supporting Israel's enemies is clearly a very concerning situation. What is clear from this situation is that Israel is fighting a survival battle, not only against enemies, but against "friends" as well. I use the term friends in a loose way to include even those who are not quite so friendly, but with whom Israel has diplomatic ties. Such as Russia. In its fight against the Iranian UAV, Israel found itself battling its closest ally, the USA via the technology that Iran had taken to construct the UAV. This regional war has a strong global element to it. The strategic importance of maintaining influence over the Middle East seems not to have diminished over the years. International diplomacy continues to be governed by interests rather than friendships. This is very true of Israel's international relations. The wars that Israel is fighting on her borders are highly complex with so many different parties involved. It almost makes one wonder whose war this really is. In reality, Israel is fighting wars with parties which come from much further away than those who reside on her borders. This is a global war, and one which threatens to become broader and much more complex in the future.